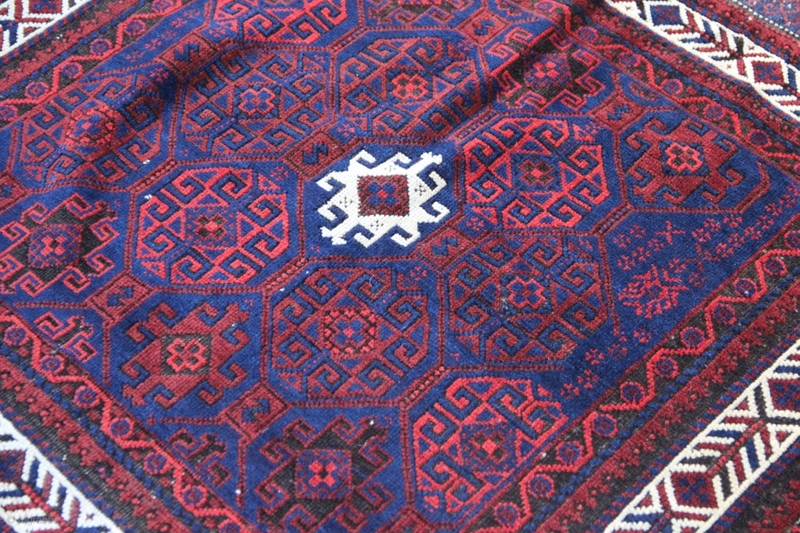 PAir of antique Baluch bagfaces. 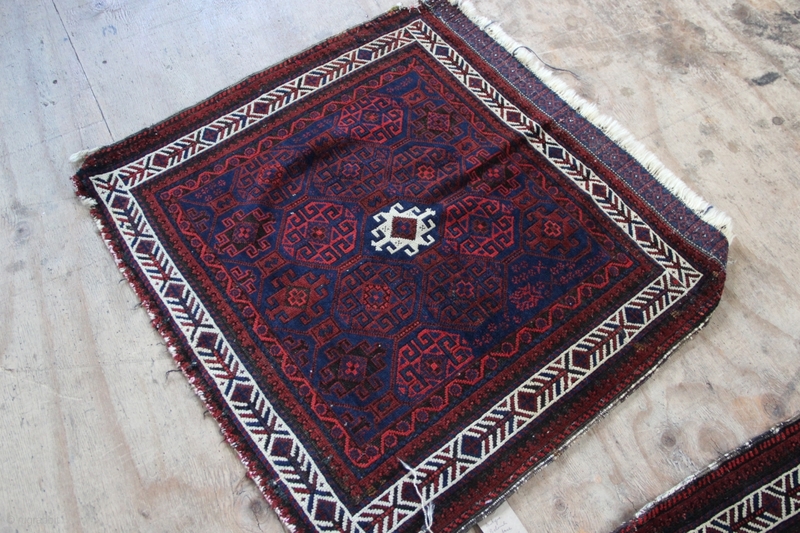 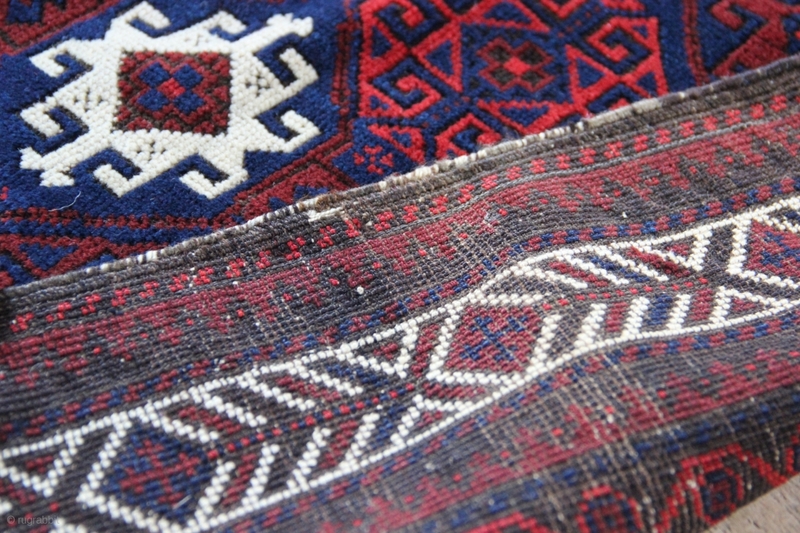 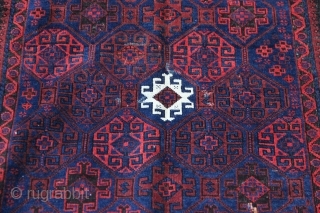 Very shiny wool, typical moody Balouch combinations of navy blue, red and clever use of ivory. Each 2'8" x 2'6"